The Man Without Fear has upgraded from common thugs to ninjas and… zombie slaves? His new frenemies are no slouch too, but he still insists that he needs to fight alone, even though he wouldn’t have made it out of the first season alive if he actually followed that creed. But yeah, I’m excited for more Daredevil. And Punisher, and Elektra. Frankly I still can’t believe how good this and Jessica Jones have been so far. Thank goodness for Netflix. 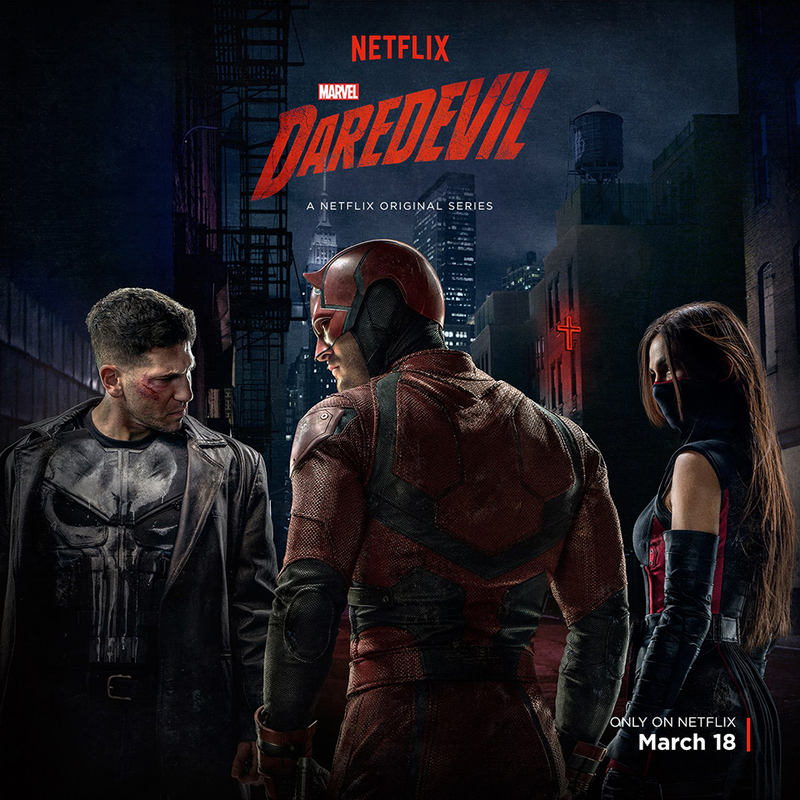 The second season of Marvel’s Daredevil drops March 18. While you’re waiting, I highly recommend that you watch Flaked, because Will Arnett is basically Loki in that series.